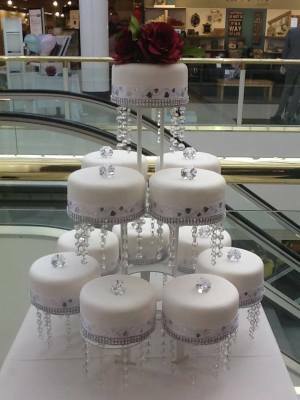 If you would like a cake which is out of the ordinary but classically elegant, you need look no further then Appleblossom's Crystal Wedding Cake. 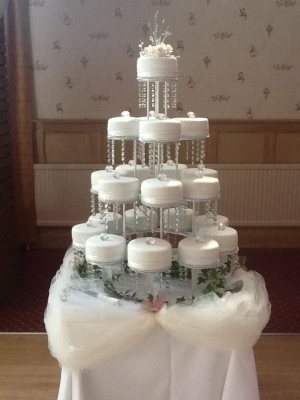 This beautiful design is very simple with a modern contemporary feel. 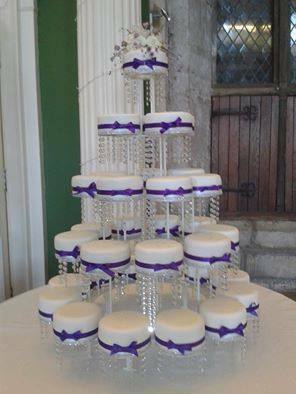 It is a 'showstopper' cake when set up in a beautifully decorated venue. 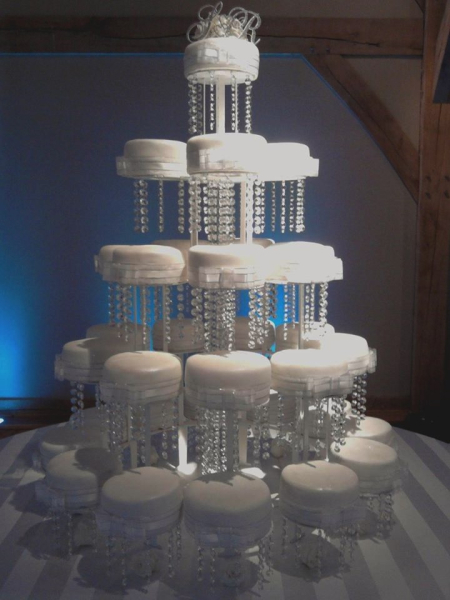 You can choose any combination of sponge or fruit cake. 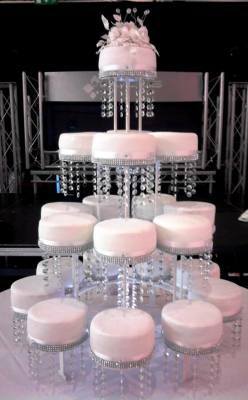 The stand does all of the work so you don't have to worry about the weight of the cakes being taken by the lower tiers. 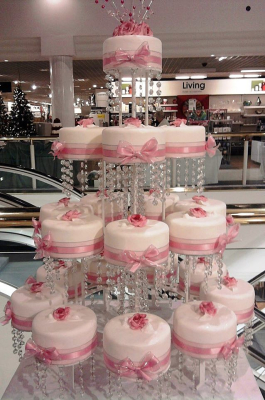 The price depends on the combination of sponge and fruit cakes that you choose. 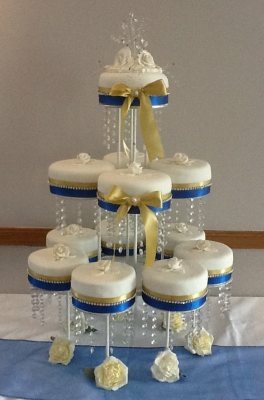 Prices below are for all sponge but you can have any combination of flavours you like. WE MAKE NO EXCEPTIONS TO THIS POLICY! !